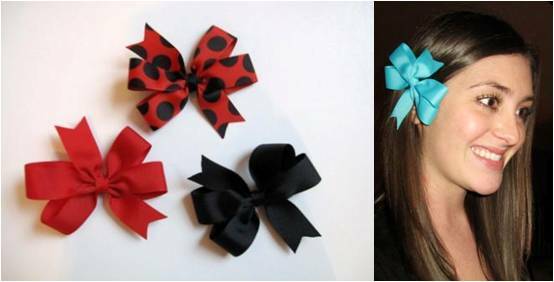 The Lizzie is a pinwheel style bow. Choose 7/8 grosgrain ribbon and 3/8 ribbon for the coordinating center. The Lizzie is attached to an alligator clip.